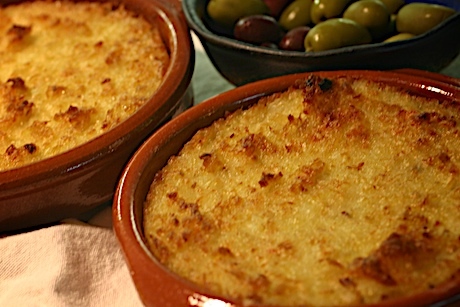 Brandade is like fondue, one of those old school recipes that doesn’t deserve to be forgotten. 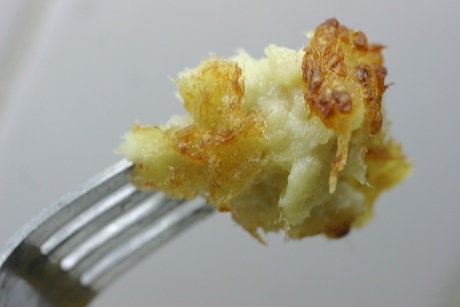 Brandade de morue, is a union of potatoes and cod fish, one of the most solid marriages I can think of. You get crunch that leads to hot moist yielding softness, all enveloped in heady garlic aromas. And it sounds great when you say it in French. What could be bad? OK….there’s quite a bit of olive oil involved and some cream, but it’s still worth the indulgence now and then. Like any classic recipe, there are literally thousands of variations. This is how I make mine.